Gorilla Tracking in Rwanda is one of the memorable wild experiences that Africa can offer. 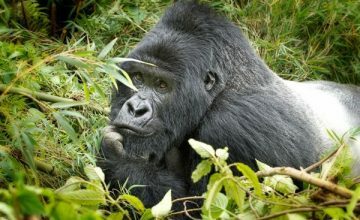 It is also known as a country of a thousand hills, In Africa, Rwanda is one of the most promising tourist destinations where gorilla tracking can be carried out. 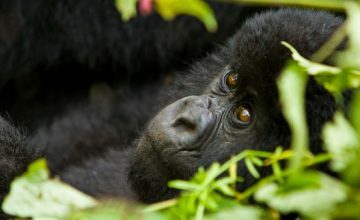 A gorilla trek via Volcanoes National park in Rwanda can involve anything from a 1 to 4-hour trek through the dense tropical rainforest of Rwanda. Using experienced gorilla trackers who have spent their entire lives inhabiting in or close to the forest, a gorilla trek in Rwanda is such interesting as you weave through moss-covered, Hagenia trees, overhanging vines and giant Lobelias that thrive in the tropical climate. 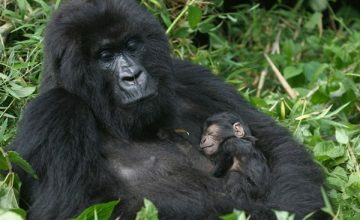 In Rwanda, Gorilla Tracking is also filled with many other interesting wildlife encounters. 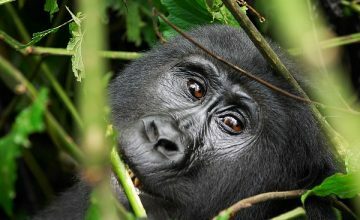 During the trek, gorilla trackers can also see golden monkeys, bush duikers or buffaloes and a wide variety of birdlife. 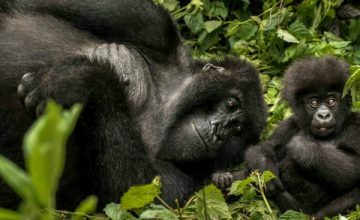 After meeting the gorillas in the wild, one of the greatest wildlife experiences on earth, you can spend an hour watching the gentle giant gorillas as they go about their daily life, playing, resting, feeding, and raising their young ones. you will understand what kept conservation Dian Fossey living in this same forest for 18 years protecting these wonderful animals at the end of the trek. 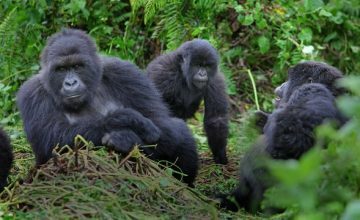 3 days Volcanoes Gorilla Trek – This Gorilla Tour in Rwanda will takes you in a 4-hour trek through the forest, by experienced trackers who have spent their entire lives living in or close to the forest. The trek through this park is ecxiting as you weave through overhanging vines, moss-covered Hagenia trees and giant Lobelias that thrive in the tropical climate. On the trek you may spot golden monkeys or see buffalo, bush duiker and a wide variety of bird life. 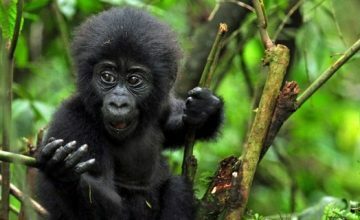 • 4 Days Gorillas and Chimps Tour in Rwanda – 4 days Mountain Gorilla Tour in Rwanda. 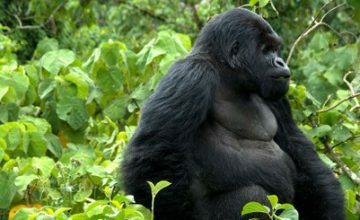 You will enjoy one of the greatest wildlife experiences on earth; spending an hour with the gentle giant gorillas as they go about their daily life, resting, raising their young, feeding, playing,. 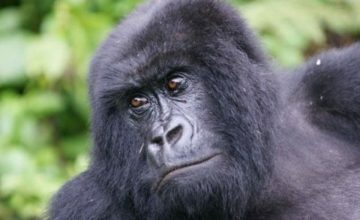 Besides the gorilla trek, there are several other tourist activities that you should not miss! 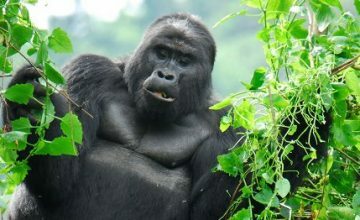 • 5 Days Rwanda Gorilla Tour – 5 Days Gorilla Trekking Tour in Rwanda. 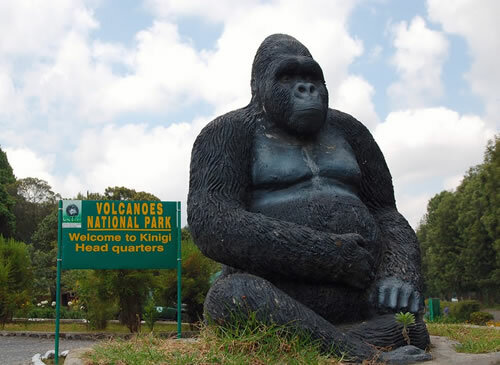 On this trip, you will track the endangered mountain gorillas, visit Dian Fossey’s Grave, a conservationist who spent 18 years in the tropical rainforest studing much about the mountain gorillas. This tour is filed with magical experiences of the Land of a Thousand Hills and it is an awesomeone! 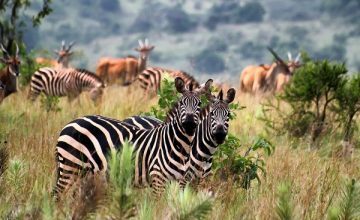 4 Days Rwanda Adventure Safari; exposes you to the climbing of Karisimbi Volcano 4,507m which is the highest point in Rwanda and the 6th in Africa thus giving you great views. 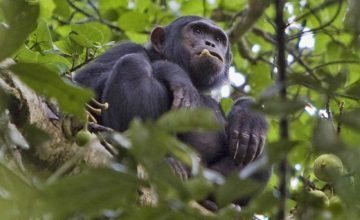 5 Days Rwanda Gorilla Tour; safaris involves chimpanzee trekking and Canopy walk in Nyungwe forest National Park, gorilla trekking and Dian Fossey hiking in Volcanoes National Park. 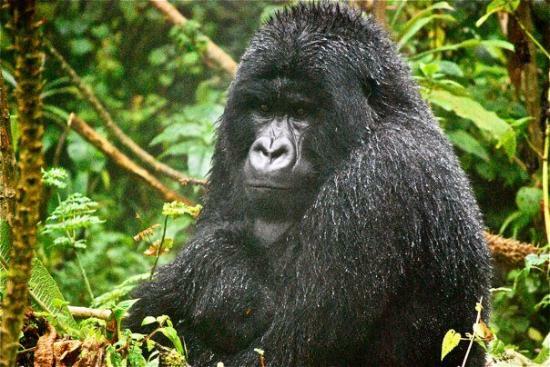 5 Days Rwanda Gorilla Trekking; At arrival you will be picked from the airport by our company representative who will transfer you to Parc Nationale des Volcanoes. From Nairobi 5 major airlines serve the Kigali area and from Dubai 1 major airlines serve the Kigali area. Flights from Nairobi to Kigali start at 8:35am and the journey is 1 hour. From Dubai to Kigali the flight starts at 6:30am and it takes 6 hours.